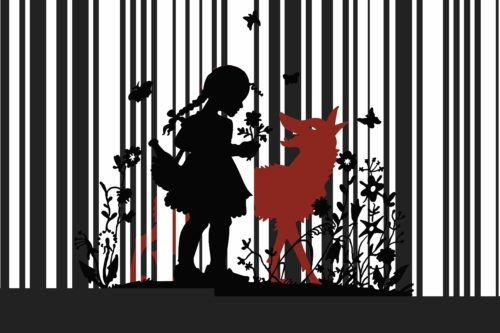 Remix master DJ Spooky has merged the popular fairy tale character Little Red Riding Hood with one of our culture’s most ubiquitous symbols, the UPC barcode, in a new series of iconic prints created especially for the Mirror Mirrored book project. 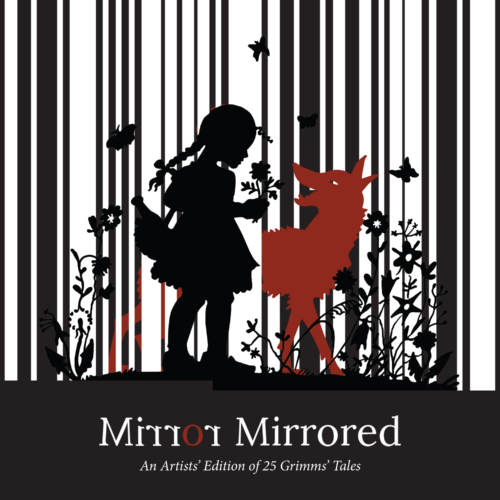 The artwork has been shown in a number of exhibits, including the Mirror Mirrored show at the WPA gallery in Washington, DC. 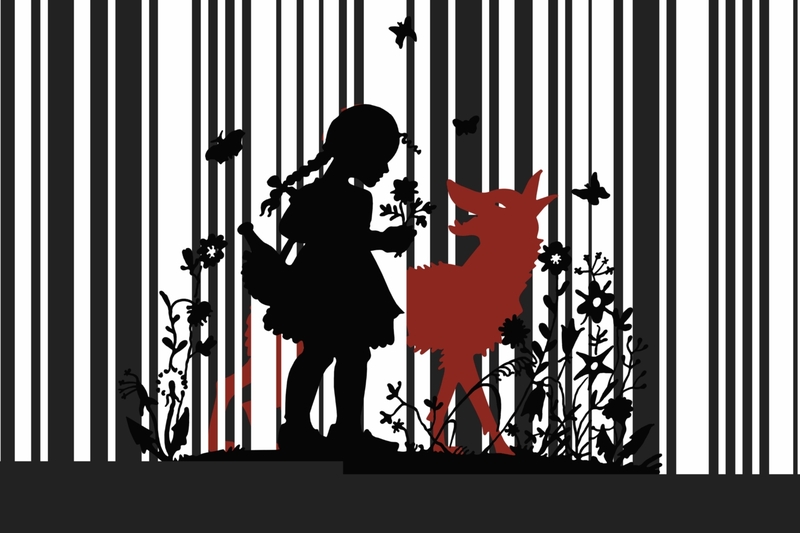 As Mark Jenkins wrote in his Washington Post review, “in Paul Miller/DJ Spooky’s update of the…fable, the wolf emerges from a forest whose tree trunks resemble a product bar code,” raising questions about the kinds of dangers that lurk in a consumer society. This signed, archival pigment print Red Cap I is 23 x 34 inches and is limited to an edition of 100. Paul D. Miller (aka DJ Spooky) has been featured everywhere from Elle to CNN to SyFy. His book Sound Unbound, an anthology of writings on electronic music and digital media, is a best-selling title for MIT Press, and his Dj Mixer app has had over 14 million downloads. 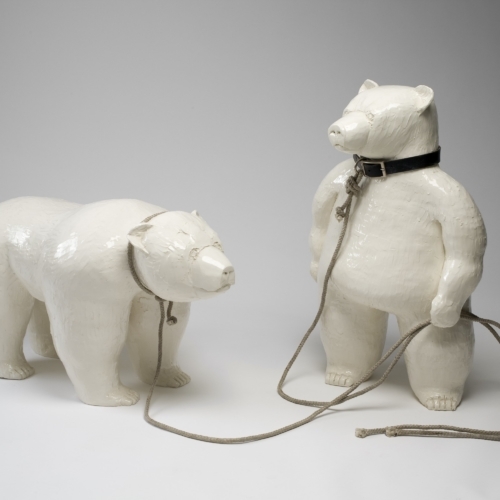 The first artist-in-residence at the Metropolitan Museum of Art, Miller’s art has appeared in the Whitney Biennial, The Venice Biennial for Architecture, the Ludwig Museum in Cologne, Germany, and the Andy Warhol Museum. He has produced and composed work for Yoko Ono, Thurston Moore, and scores of artists and award-winning films. Miller’s deep interest in reggae and dub has resulted in a series of compilations, remixes and collections of material from the vaults of the legendary Jamaican label, Trojan Records. Other releases include Optometry (2002), a jazz project featuring some of the best players in the downtown NYC jazz scene, and Dubtometry (2003) featuring Lee ‘Scratch’ Perry and Mad Professor. Another of Miller’s collaborations, Drums of Death, features Dave Lombardo of Slayer and Chuck D of Public Enemy. 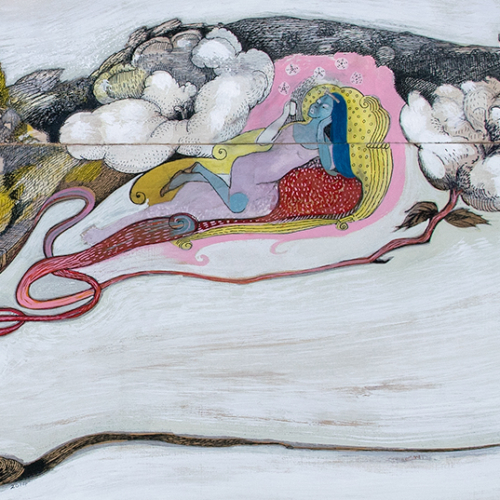 Miller is also the Executive Editor of Origin Magazine, which focuses on the intersection of art, yoga, and new ideas. He continues his globe-trotting series of live events, playing at festivals from France to Japan to Mexico City, performing solo, with chamber groups, and with orchestras, and giving talks at prominent universities and conferences.